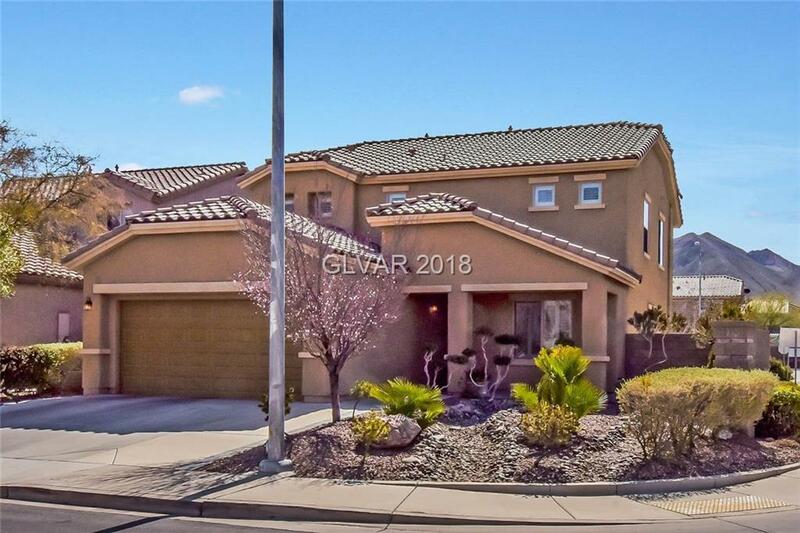 Highly upgraded & clean home in 89002! This great home is situated on a corner lot with no immediate neighbor to the West or South. The beautiful island kitchen features granite counters & stainless steel appliances. The windows are outfitted with plantation shutters & the water is treated with a conditioner & water filtration system. A bedroom & full bath down & loft up engenders flexibility. Enjoy the covered patio, fruit trees, and fountain!